Ever since taking over the Drowned in Newcastle column just shy of a year ago, I’ve frequently been faced with a dilemma over where to draw the line geographically. It’s probably the same for a lot of cities, but Newcastle’s scene is no longer (ahem) black and white in definition. There’s plenty of bands from Sunderland, Middlesborough and elsewhere who are just as much a part of our musical landscape as any NE1-dwelling bands. And with the boundaries becoming ever more blurred, it feels only right that we widen the scope of Drowned in Newcastle to reflect more of what’s going on across the whole North-East region, in the process (hopefully) sharing the credit out much more fairly. Welcome, then, to the first edition of Drowned in the North East. 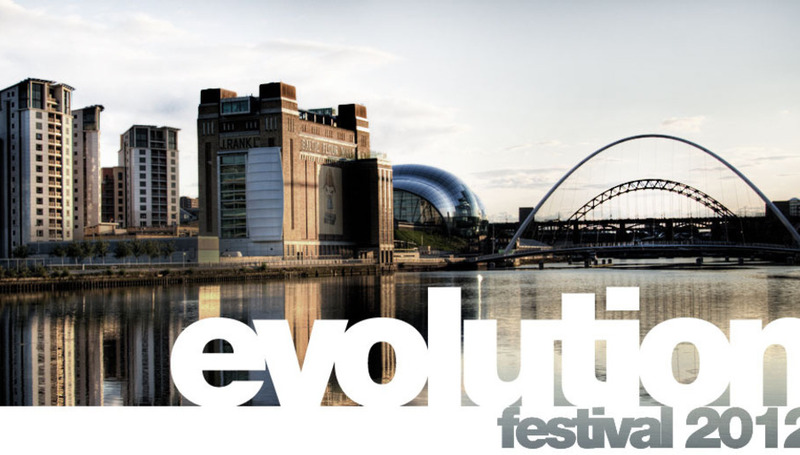 Since Drowned in Newcastle #7, perhaps the biggest event in the area has been the announcement of the full line-up of Evolution Emerging, the fringe event to Evolution Festival which showcases bands from the area. This year saw 364 bands apply, a staggering number which was eventually whittled down to the 25 who will take over the Ouseburn Valley on the 1st of June. Having been on the selection panel, I can vouch for how tough it was to narrow down the longlist, and it’s really not an exaggeration to say could have been at least four times that size without diluting the quality. 2012’s line-up features strong representation from all corners of the region. Beth Jeans Houghton and the Hooves of Destiny feature as guest headliners, topping a diverse bill at the Cluny which also includes Lulu James and Deerhart.The Tyne Bar is home to what is likely to be the most unhinged stage, featuring the likes of We Are Knuckle Dragger, Nately’s Whore’s Kid Sister and Acrobatic Society, and an impossibly young and talented group of artists are taking over Cluny 2. Full line-up details as well as streaming tracks can be found at www.generator.org.uk/evolutionemerging. All venues are free entry, which I think seals the deal in making this the ideal way to spend the Friday of an extended Bank Holiday weekend. In terms of releases, the one I’m most looking forward to in coming months is the debut EP by South Shields native Natasha Haws. Haws is a scarily precocious musician, whose songs are as delicately beautiful as her voice. One of the best things about her is how natural and unforced her songs seem, resulting in an almost uncomfortable level of emotional impact. The EP is released on May 14th, and is launched with a suitably intimate show at Sunderland Minster two days before that. The last few months have seen some great bands emerging from Teesside. I’ve already mentioned Weird Shapes in previous columns; Bird Island are making waves after a great EP recently; Eeves are also coming along nicely, and the latest Teessiders to turn heads are Collectors Club. Their new single ‘First to Know’ is a gloriously carefree piece of indie-pop, which feels unequivocally summery. Sunderland duo Let’s Away feel like the wintry antidote to the sugary charm of Collectors Club, but they’re just as accomplished as their Boro counterparts. The band recently recorded four songs with Hyde and Beast’s Neil Bassett. The strongest of the collection is probably ‘The Art of Self Control’ which somehow manages to feel both gloomy and hopeful all at the same time. One of my favourite bands in the area are Pale Man Made, so I’m delighted that their second album Red Box Secrets, which has been ready for a while, is finally emerging into the light on Odd Box Records in June. It’s preceded on April 16 by free download single ‘In Your Bed’. The song is a typically powerful chunk of fuzzy-pop, the sort of thing with which the album is liberally sprinkled. As ever, we can only ever really hope to scratch the surface of what’s going on round these parts, such is the extent of the increasingly fertile period the region’s musical community is enjoying. If you’re looking for a snapshot of the best and brightest North East bands, April’s Narc. magazine comes with a great 17 track compilation which I recommend wholeheartedly to anybody with an interest in North-East music. And if there’s anything you feel strongly about which I haven’t covered, then why not add your own input in the comments section below?